- We also have shared space available from €150+ vat. per person per month and also flexible short/long term Hot desk access from €20 per day. - Meeting and conference rooms available from €60 per day - contact us for availability. 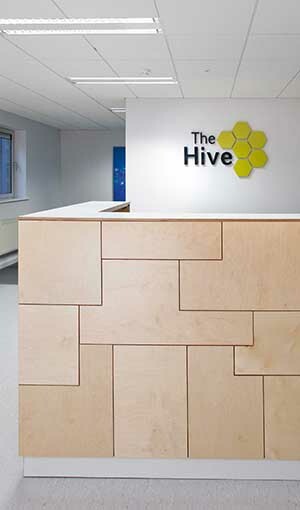 If you would like to express an interest please contact colm@the-hive.ie as soon as possible. Availability changes regularly and the above list only includes space currently vacant. Please call 071-9616275 for future availability. We also have a choice of meeting rooms and training rooms available for hire on flexible terms for training, CPD, health and safety, off-site meetings, interviews, etc. Please email your requirements and we'd be happy to quote. It's an easy to locate site with free parking beside the N4.